Tall sport utility vehicles (SUVs) bring plenty of space for families, along with four-wheel drive (in many cases) and the height to clear rough unmade roads. Estate cars similarly offer plenty of space, but without the height, they tend to be more stylish - and lack the off-road ability. Volvo’s V60 Cross Country is an attempt to combine the best bits of both vehicles. Raised by 60mm over the standard V60 estate, it has more space between the bottom of the car and the ground, making it less likely to get scraped on bumpy fields and uneven gravel tracks. It’s equipped to tackle slippery surfaces too, thanks to standard four-wheel drive that provides more grip to get you going and keep you moving on mud, loose surfaces or snow. There’s also hill-descent control - for restricting speed on steep gradients. Extra plastic mouldings give the car a beefier look, but it’s still much closer to the clean and sleek design of the standard Volvo V60 than a bluff SUV. The extra height is obvious from behind the wheel, as you sit noticeably higher than in a conventional car. It brings further benefits when you’re on the move too, because the Volvo has been made taller by raising the suspension, as well as by fitting chunkier tyres. This makes the car more comfortable, as it can absorb more of the impact over rough surfaces and bumps. It’s a better package than the similar Audi A4 allroad and Volkswagen Passat Alltrack, which cost around the same as the Volvo - just over £38,000 from new, before discounts. Most cars, fitted with a few options, will have a list price of over £40,000, which will increase car tax from £145 to £455 per year for five years. A cheaper alternative is the Vauxhall Insignia Country Tourer. None of these cars can match the 210mm ground clearance (the space between the bottom of the car and the ground) of the Volvo, which is at least 30mm higher than all three. The Volvo’s interior is also a cut above even the Audi, thanks to the large touchscreen in the centre of the dashboard that eliminates virtually all buttons and is intuitive to use (even if many drivers will prefer using the Audi’s rotary dial), as well as the quality materials. New buyers will need to pay extra for features such as Apple CarPlay and Android Auto, which bring full app control onto the car's screen. Heated front seats, a parking camera and metallic paint are optional too. There’s plenty of room in the rear for adults and they will be doubly comfortable, as the V60 is the latest Volvo to feature some of the most comfortable seats on the road. The 529-litre boot capacity (which increases to 1,441 litres when the rear seats are folded down) is spacious enough for most families, and should be able to accommodate enough luggage for a two-week holiday, but Volvo is no longer the leader in boot space and a VW Passat Estate has a larger 650-litre area. The Volvo’s diesel is reasonably quiet, particularly when travelling at a steady speed, Performance is fairly average for a family car, with enough power to accelerate quickly up to motorway speeds and to overtake rapidly. Fast cornering isn’t a strength: the V60 Cross Country never feels sharp and agile, so it’s best to drive the car steadily. Advanced driver assistance systems are optional, allowing the car to accelerate, steer and brake on motorways and major roads, although the driver still has to be alert as they may be needed to intervene at any moment. It adds up to a car that really does combine the good bits of SUVs and estate cars in a prettier, but relatively pricey package. Volvo's diesel engines are labelled with a 'D'. Petrol versions get a 'T', The following number relates to the power, so the higher it is, the more powerful the engine. There's currently just one engine to choose in the V60 Cross Country before a T5 petrol version arrives later this year. The D4 diesel has more than enough power for steady driving, without the need to rev the engine, which minimises noise from the quiet engine and makes progress more relaxing. A 0-62mpg acceleration time of 8.2 seconds is neither fast nor slow, and fuel economy is roughly what you would expect from a four-wheel drive estate car. Offical figures range between 42.8mpg to 47.8mpg, depending on the size of the wheels and the equipment fitted, which should equate to around 40mpg in real-world driving. Carbon dioxide emissions of 135g/km are not good for business users, though: together with the diesel surcharge, it means that you'll be paying a 35% company car tax rate. There’s only one level of specification in the V60 Cross Country models, with equipment that includes a motorised bootlid, bright LED headlights, 9in touchscreen, sat-nav, climate control and a ten-speaker sound system. All cars include four-wheel drive as standard, as well as hill descent control, to restrict speed when going down steep hills off road. There are also parking sensors when manoeuvring in less rugged conditions. This does leave plenty of equipment that's not included as standard. If you want full phone integration, with app control from the screen or with voice commands, then Apple CarPlay and Android Auto will cost new car buyers £300 more. Heated front seats are extra too, included in the Winter Pack, which costs £525 when new, and also adds a heated front windscreen and headlight cleaning. Driver assistance features, incuding Pilot Assist and adaptive cruise control, which enable the car to steer, accelerate and brake itself on most major roads (including at slow speeds in traffic jams) is part of the Intellisafe Pro pack costing £1,625. It's still far from perfect, so drivers have to remain alert and ready to intervene at any moment. A panoramic sunroof, 360-degree camera and self-parking feature (the car steers while you control the accelerator and brake) is included as part of the £1,800 Xenium pack. Launched after the most recent Auto Express Driver Power survey, the V60 Cross Country doesn’t appear in the list of most reliable cars – and indeed, neither does any Volvo model. However, in the list of most reliable manufacturers, the Swedish brand came in a respectable 13th place. The warranty covers three years or 60,000 miles, which is standard for the sector and in line with many of its rivals. The V60 Cross Country has just gone on sale at time of writing, so anyone looking for a used example will have a little while to wait. Forecasted high resale values – 48% of its new cost after three years and 30,000 miles – will be good for those buying from new, as these will help to make finance more affordable. It will mean that used prices will be high, though. Combined with a relatively low number of sales, it suggests that there won’t be a lot of bargains on offer. 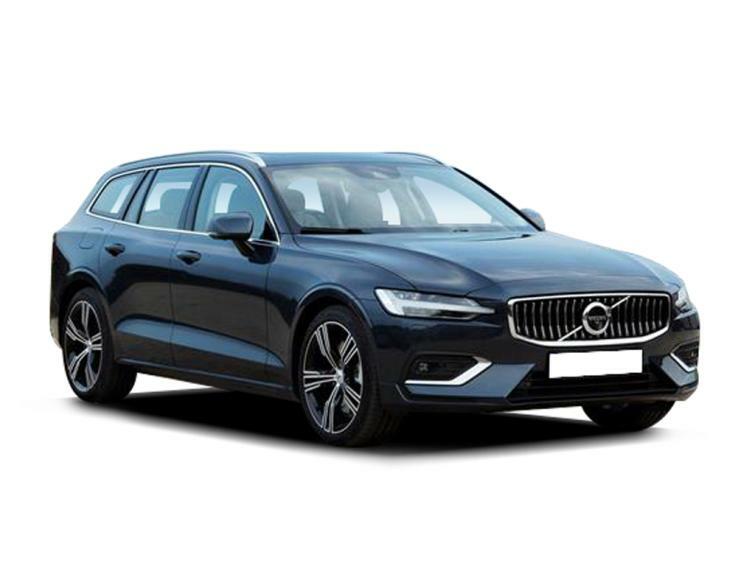 A well-packaged, stylish, practical and safe estate car, the V60 offers almost everything that buyers might want from a family car.